I have been searching couple of days in google search engine along with my friends to find out some useful tools which can help both bloggers and webmasters in better way to check their blog and website load time properly and exactly. Meanwhile we have found so many online tools which help in checking blog statistic and performance. 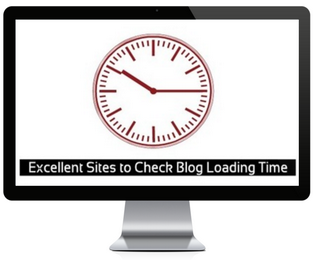 But in the end of the day, after 24 hours we have been surprised with two awesome blog loading time checker tools which have some prominent features than all of the rest, which we have found earlier. So these two website will be presented here along with screenshot in the below section. GeMetrix is one of the best and free website to check your blog loading time, analyses your blog and provided a completed performance report of the blog. This is a recommended website almost used by every blogger and webmaster. 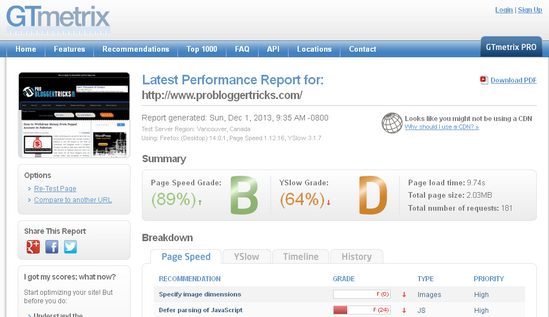 We have been testing our probloggertricks website recently and got splendid result. PBT won 89 score out of 100 which is not good and we listed in grad "B", we have to work more on the site to reduce its loading time. The best score we consider for every blog and website should have above 90 which is counted in grad "A". Now check your own blog and get the performance result how much you scored out of 100. thing. Pingdom is yet another best and splendid website helps in checking your blog page loading time and give you the overall performance of your blog. It would also show the elements of your website which takes too much in loading the page. Pingdom also suggest to over size the different elements like, Java script, html and heavy css file hosted on external services. In short i would say, pindom is the best and recommended blog loading time website one the web. 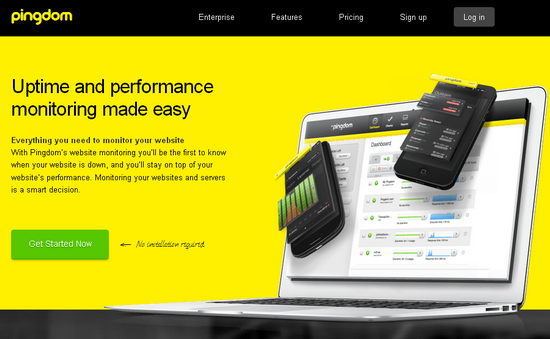 Go and check your blog by pingdom to get the overall performance of your blog. Thanks, Muhammad Azeem to share your blog result..buddy you have to work more on your blog to decrease its loading time..i would help in ranking your posts and much mores, thanks. Hello, Akhil thanks to see you here, after a long time. Hafeez bhai very Nice Article i like it..
Really buddy, We will bring more tutorial in futures on blog loading time online tools stay tuned with us. thanks. Yes, Rohan Mod Pingdom is my favorite than the rest of all. IT give the complete performance of the blog or website. thanks. Nice post hafeez. However, you missed another free tool which is quite important. It is google Page speed insight. What do you say? You are right Ravi bro, but did you notice that after the introducing new look of Page Speed Insight it does not give the accurate loading time. We were used to check our blog after a week or couple of days but when there made certain changes, it did not give the accurate result as it was in the past..hope you will find the voice informative.. Thanks for sharing new information, My blog got grade B in page speed and Yslow Nice post Hafeez Khan. Nice article, its help for me I am new blogger.